Laura and Fred are two of the sweetest people I've ever met. Laura will send me an email and I honestly can't WAIT to read it because it always is filled with such joy and happiness. The three of us have been talking about their 2018 wedding day since they booked with me in 2016 and now, at our near-halfway point of our journey together, we got to explore an incredibly special place together and capture some beautiful moments. 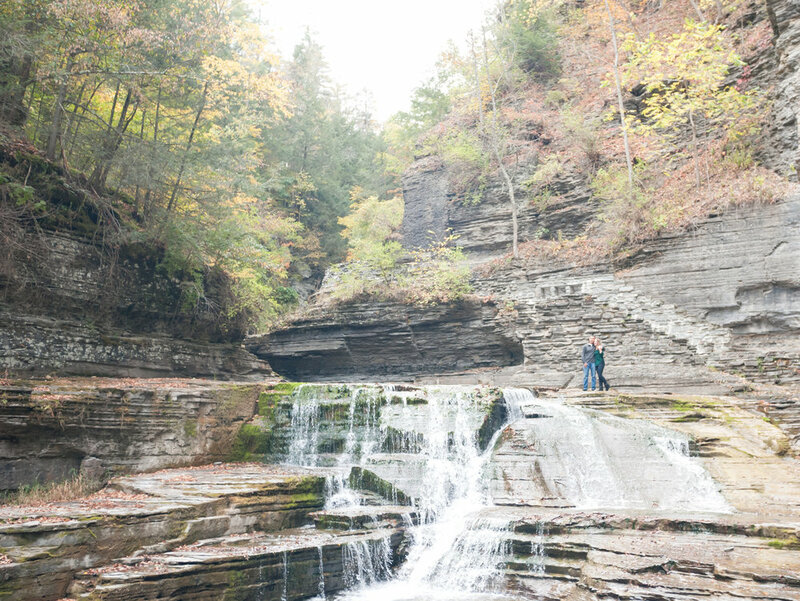 Fred proposed to Laura at Robert H. Treman State Park in Ithaca while they were on a hike together. He even had someone following them to grab a couple of pictures at the spot when the proposal happened! 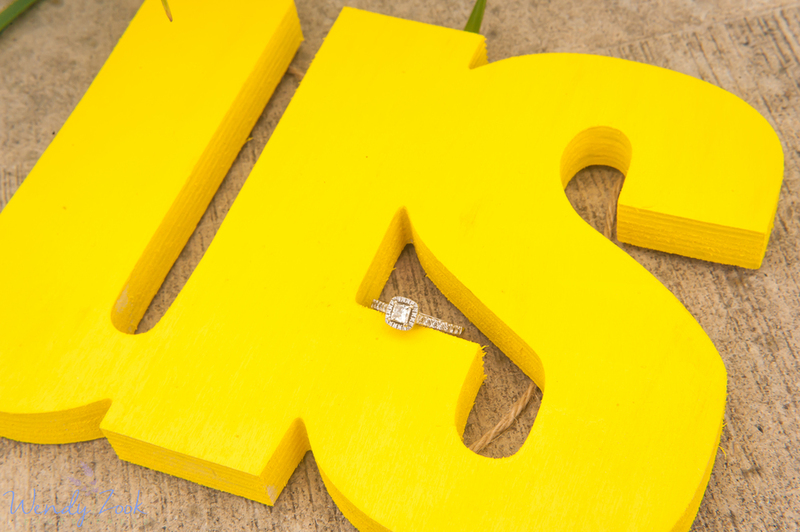 And so, on a landing on some steep stone steps overlooking an incredible vista of tree-covered mountains, Laura said "yes!" (and almost fell down the stairs) and the two of them never forgot that special spot. So, in planning their engagement session, we knew we had to go back there! It was a gorgeous, warm, sunny day and we explored both that park and a nearby Stewart Park in downtown Ithaca that sits on the southern edge of Cayuga Lake. Stewart Lake and that evening's subtle sunset gave us paths to explore, docks to twirl and jump on and chairs and swings to relax on and watch the water. The day was laidback, easy, joyful -- just like these two. Enjoy the peeks and stay tuned in 2018 for their beautiful New York wedding. Bridget and Patrick are one of my long-distance weddings in 2017 and one of the couples with the most interesting route to cross paths with me. I've known Bridget's sister, Meghan, for a few years now (we actually went to college together but weren't close back then!) and I've photographed newborn sessions for both of her children now. Meghan gave a sweet recommendation to her newly-engaged sister and now, I'm a lucky, lucky photographer who gets to capture their Long Island wedding next year. Speaking of long distance, Bridget and Patrick have spent the majority of their six-year relationship apart, living hundreds of miles away from one another in different states. 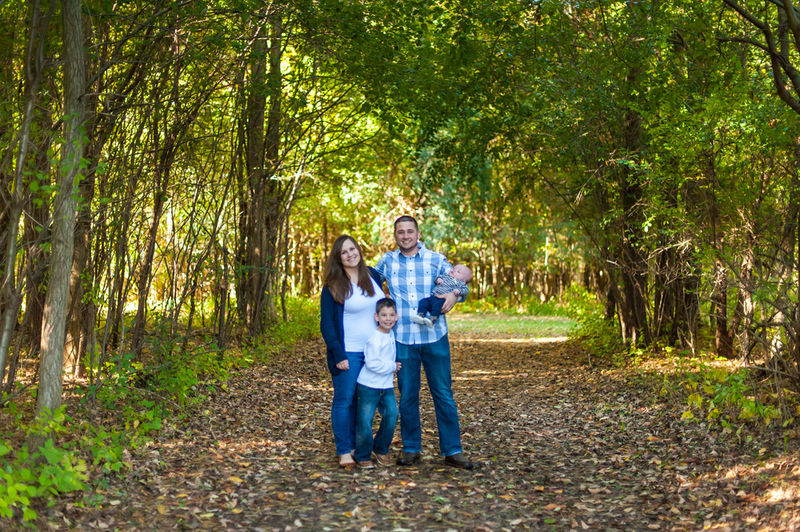 We decided to find a spot near Bethlehem, Pennsylvania, in the days following a sweet baby boy's entrance into the world when Meghan gave birth to her second son. We came across Monocacy Creek Park -- a place that none of us had ever actually been to but worked out absolutely perfectly. It was a great, sunshine-y day and we had such a wonderful variety of backdrops -- an old stone mill, a calm creek, a small waterfall, a park path and a forested trail. We made use of the areas, got to know one another and came out with some really stunning images. Less than 11 months until we meet up at the Venetian Yacht Club for waterfront sunsets and another chapter in their love story! I've been talking with Cara off and on since January this year! 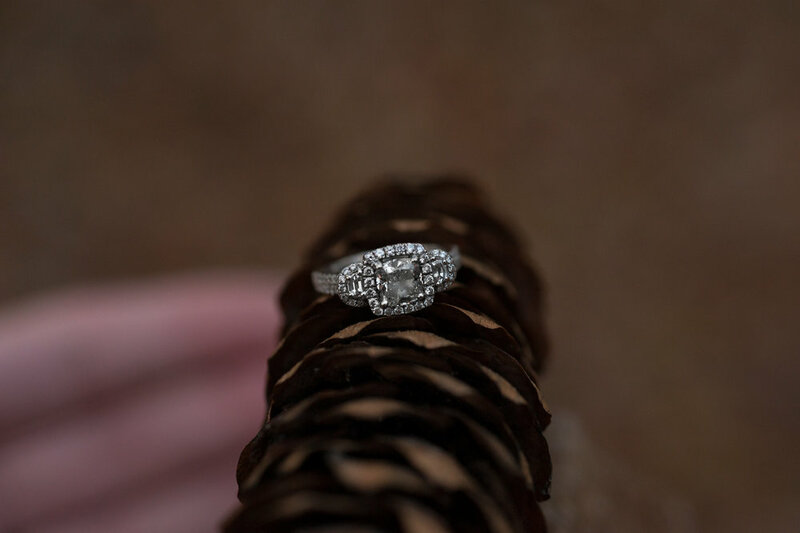 She and Charlie were engaged on Christmas Eve and she reached out to me shortly after to set up an engagement session while the two of them decided on a wedding date. 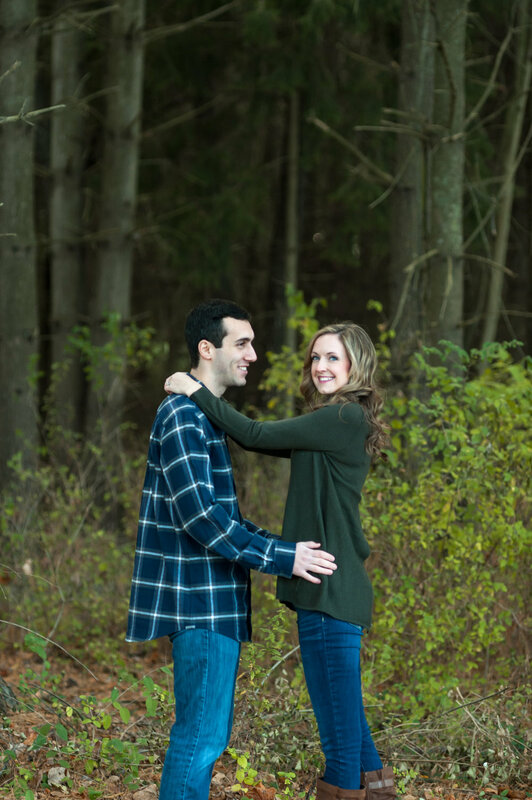 Originally, these two Tonawanda residents wanted a beautiful wintery snowfall enagement session. Not a problem in Western New York in the winter, right? WRONG! I swear, Mother Nature was laughing pretty hard at us. We had one insane snowstorm and a handful of flurries here and there, but honestly, no good snowy engagement session days. So, we changed our course and wound up having a beautiful Spring evening along the Niagara River in Tonawanda, a suburb of Buffalo and Niagara Falls. Cara and Charlie live just a few blocks from a gorgeous park along the river, so we were able to stay close to their home and explore the riverbank. We made good use of tree-covered paths, long wooden docks and an incredible sunset provided by that sneaky Mother Nature. These two are so romantic and affectionate -- I could have filled up their entire gallery with only tender kisses images but we got some great twirls and spins, smiles and laughter, too. They are getting married in September 2017 at the lovely Barton HIll in Lewiston, New York and I can only imagine a day of love and laughs! Congratulations on your engagement, Cara and Charlie! 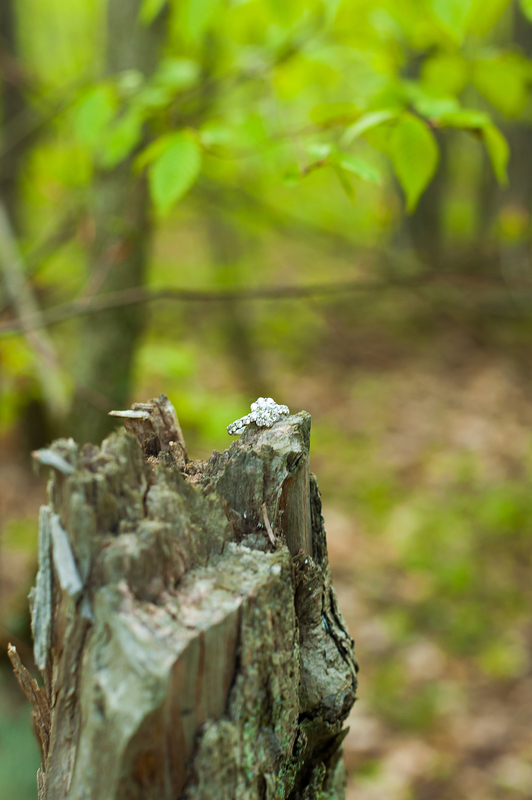 Sometimes, all the pieces just fall into place to bring a photographer and an amazing couple together. 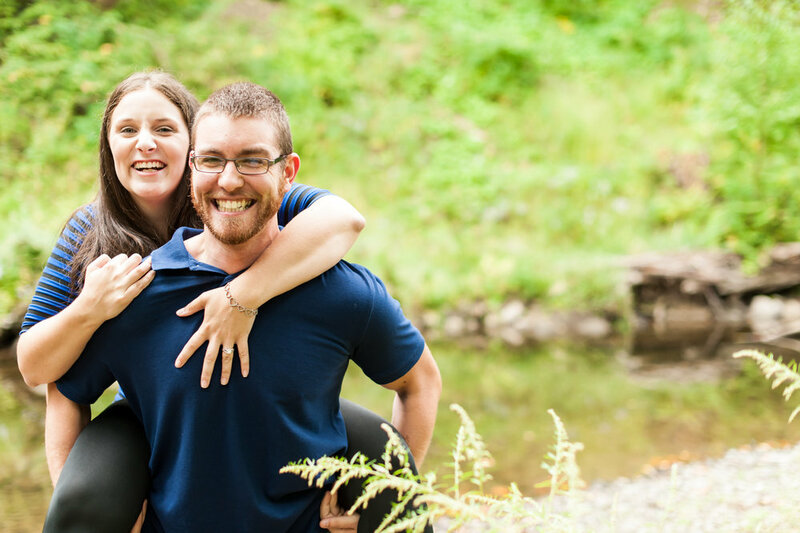 In a transition period of moving to our home in Rochester and restarting my photography business here in Western New York, Lisa and Jamie reached out to me inquiring about their April 2017 wedding in my hometown in New Jersey. 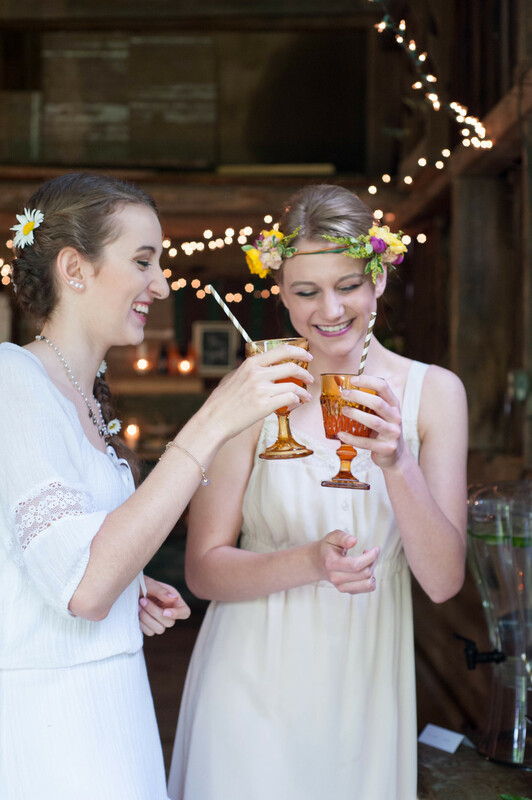 Their wedding venue, David's Country Inn in Hackettstown, has been the site of some of my favorite weddings and is seriously just a few minutes away from my Dad's home. 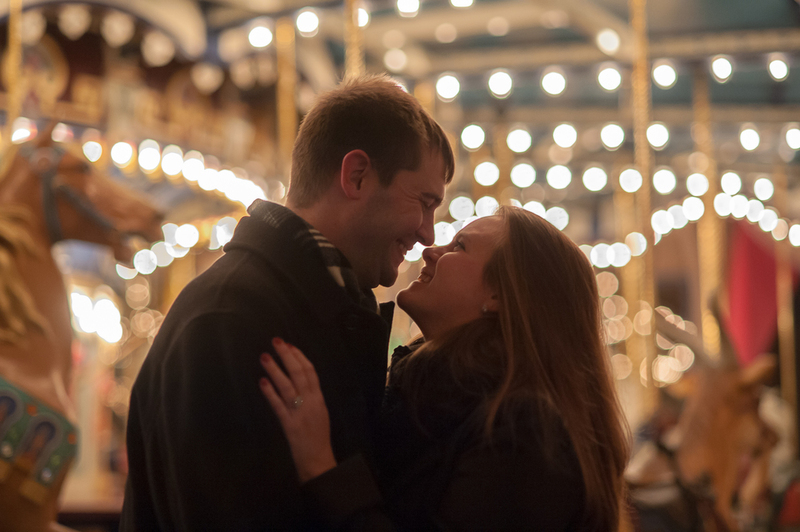 And, after a Skype consult, we all seemed to click and our discussion turned to their engagement session. They opted to celebrate their love story with me in their current hometown city of Boston -- and, again talking fate -- we wound up choosing the last weekend before one of my best friends and an incredibly talented newborn photographer, Nicole Starr Photography, moved to her new home in Saratoga Springs, New York. So, before I introduce you to this fantastic couple, just know that I consider each of my clients in a way that imagines them as friends and considers fate and faith and luck and blessings. There have been so many moments in my e-mails and messages with Lisa that things have just "clicked" and I feel incredibly fortunate to be their wedding photographer next year. We opted for an all-out, true-blue Boston engagement session -- Beacon Hill and the Boston Gardens and enjoying the new pedestrian walkway of Longfellow Bridge overlooking the skyline. We strolled around and explored some gorgeous corners of their city -- everything from a sun-drenched exploration of the Gardens to cobblestone historic streets and everything in between. We laughed our way past "The Mulch Lady" and casually posed by gorgeous flowerboxes because... YELLOW! 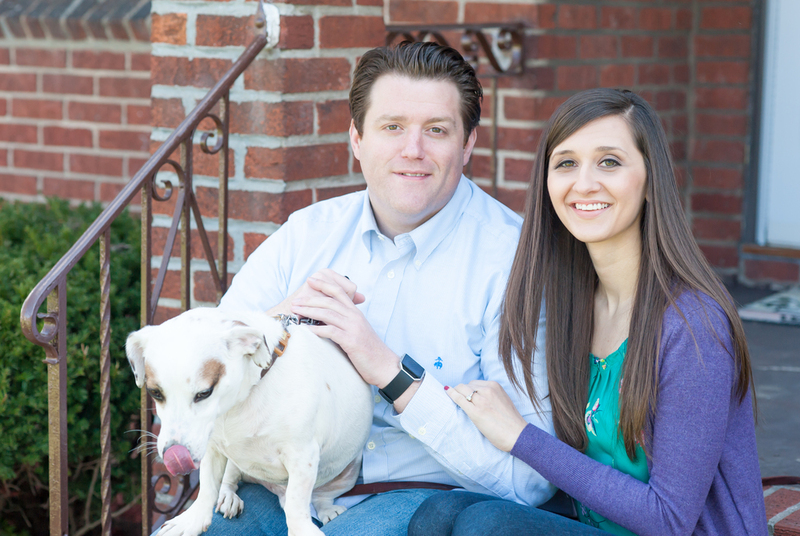 Lisa and Jamie are both hard-working, determined individuals and together, there is just an incredible amount of support and compassion, always looking out for the other and always sneaking looks of love and concern. I am so excited for what is sure to be a beautiful wedding day in less than 11 months and I'm so grateful to have the honor of telling their love story. 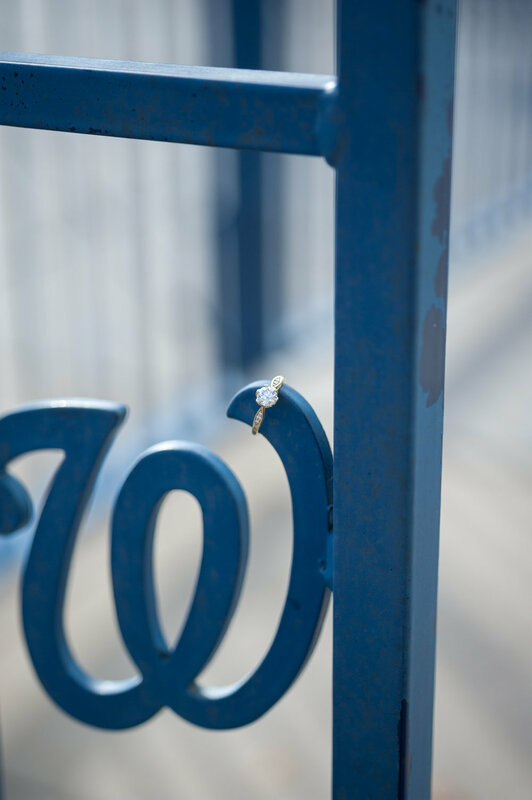 Enjoy some of our favorite images from the day! 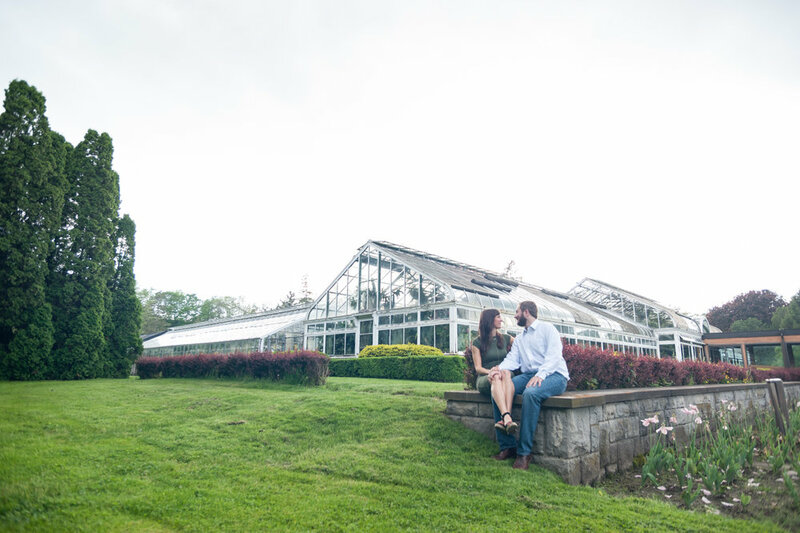 I am quickly falling in love with Highland Park in Rochester NY as an amazing engagement session location. It just sprawls on seemingly forever, with little pockets of beauty and surprises around every corner. 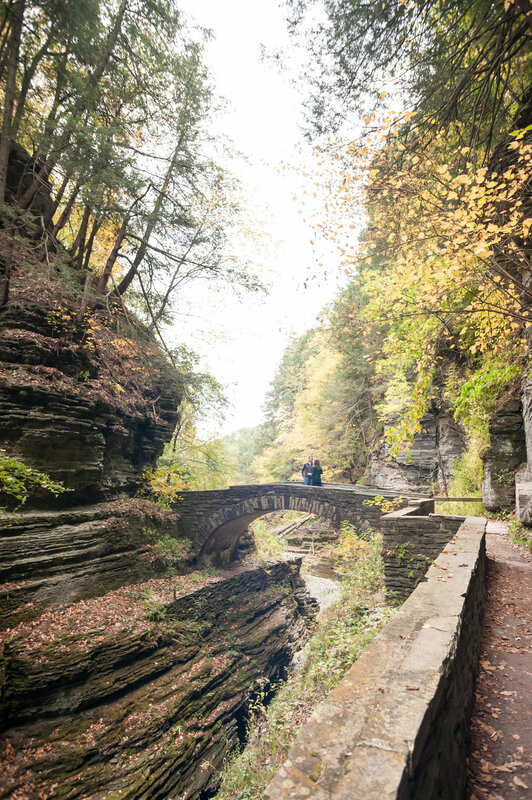 Moody pine tree forests, stone castles, and blooms of every shape and color as far as the eye can see. Then, take that and add in a couple that not only looks amazing but also is so calm and go-with-the-flow and you could easily create magic. Which I think we did. 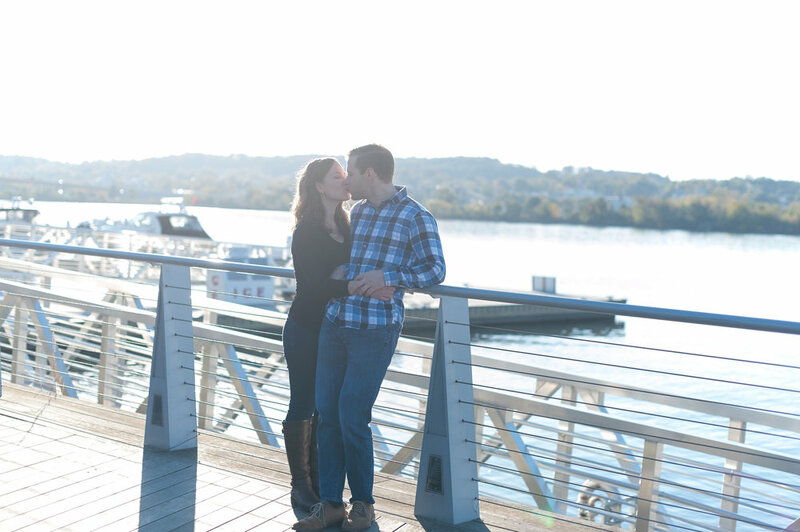 Katie and Will are incredibly romantic and affectionate -- just an easy love of embraces and forehead kisses and adorable giggles. Even while forcing Katie in heels uphill in a forest covered with roots and rocks, she was smiling. (And those wound up being some of my favorite images of the day). We laughed, created nicknames for each other (Mindy had a blast photographing Bill and Kathy), ad I honestly wouldn't change a thing. Their October wedding is at the Botanical Gardens in Buffalo and I am beyond excited to create more magic with their love and nature's great beauty. Katie commented afterward about my "obvious passion" for what I do -- and I love days like this so much, but really, its couples like Katie and Will and adventures like our engagement session in Highland Park that make that passion grow and ignite my desire to do more, do better, love it even more. Thank you, Katie and Will! I can't wait for more adventures! There is something about a lifestyle engagement session -- one that's all about the couple and their love and not about distracting props or too stiff of poses. It's a session that lets their story and their personalities truly shine -- and nothing more exemplifies that realness than a session in a brand new home. 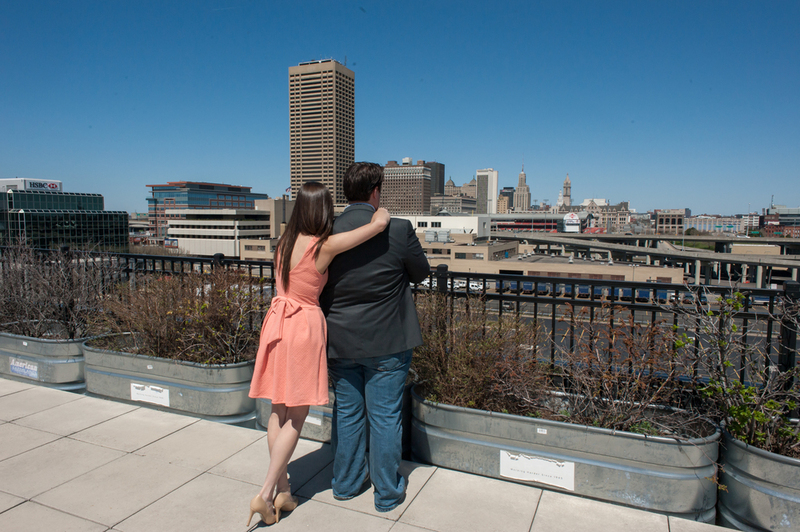 Christine and Zach are getting married in downtown Rochester this Fall and throughout all of our communications and meetings, words like "candid" and "real" keep popping up in our discussions. So, although Rochester offers beautiful skylines and lush green parks, these two opted to celebrate the recent purchase of their first home together. We just traveled from one room to the next, enjoying the space as they would on any given Tuesday evening or Saturday morning -- relaxing on the "cuddle chair" in the living room, sipping some coffee in their "dance room" and laughing at the kitchen counter. Before I could even unpack my equipment, Christine offered an honest disclaimer that both of them were incredibly nervous. That's natural and normal, especially for couples that don't do a lot of photographs. Hopefully they'd agree, but within minutes, the nervous giggles started to disappear and their love shined through -- tender kisses and cuddles and the sweetest of smiles. I loved getting to know these two -- they are incredibly hard-working, really sweet and kind, easy to talk to and incredibly beautiful to photograph! 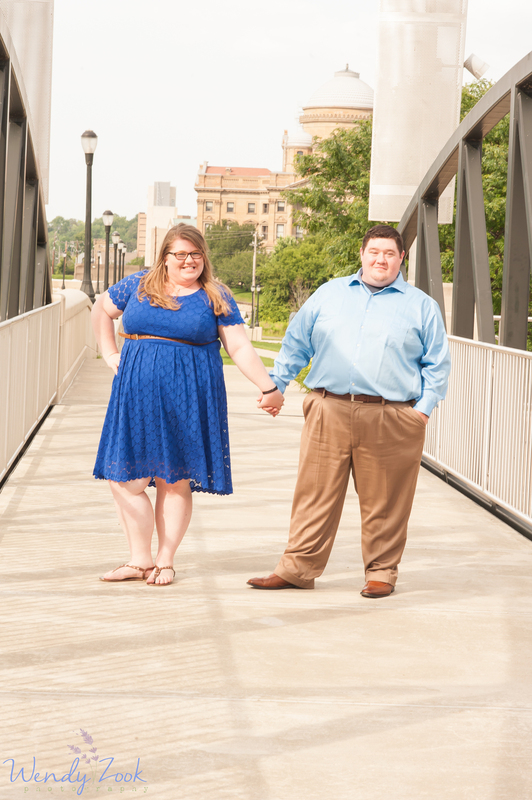 Fun fact: One of my other recently-booked couples includes the former college roommate of Zach! Small world! Thank you for inviting me into your beautiful Rochester home for this simple, sweet and special engagement session. I only just met Nicole and John and yet I feel like we've been friends for years. They just exude kindness, sincerity, humor and joy. 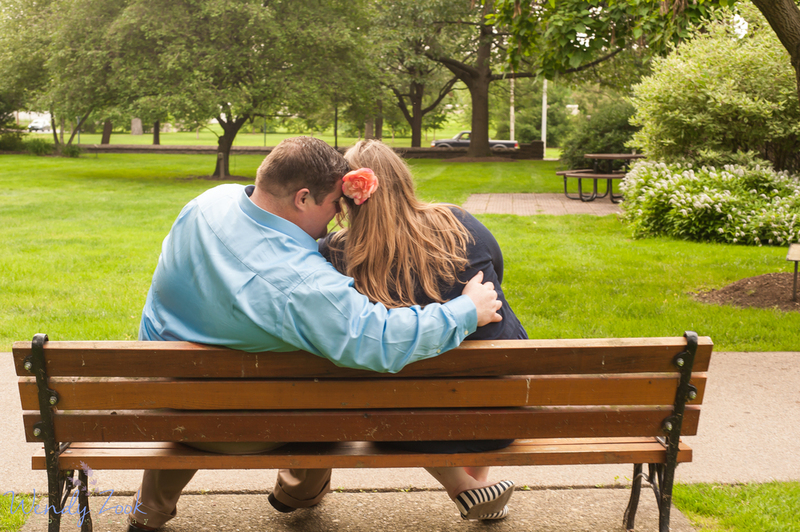 Being made to feel like a friend made our downtown Buffalo engagement session together even more special. When I first chatted with Nicole via Skype last year, I was packing up our house and about to embark on our family's third (and final) move. I poured some wine, er, tea, found a corner of the house that did not have a pile of boxes behind me and had way more fun that I ever expected. Nicole is intelligent, organized and precise but also incredibly funny and "real." When I received a #gentlehonesty e-mail (we have a lot of hashtags for our adventure together) asking me to be their September 2016 wedding photographer, I felt truly lucky. 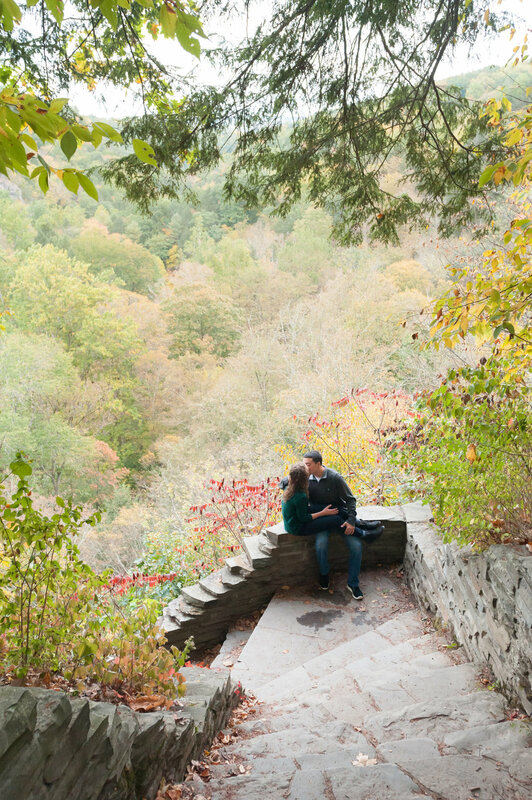 For their engagement session, Nicole and John wanted to be surrounded by beautiful scenery and comfy scenes. John used some of his connections to secure us spots at 500 Seneca and 95 Perry in downtown Buffalo after some time meeting their adorable puppy and photographing around their brand new home. 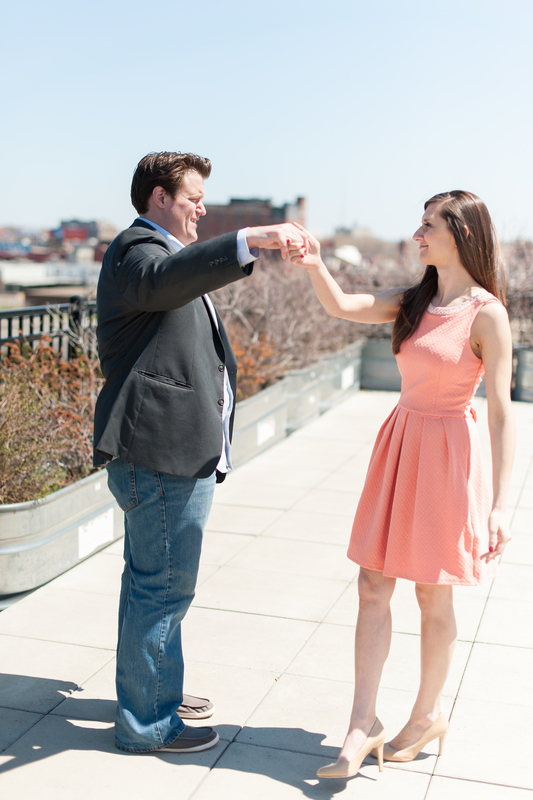 With sun-drenched atriums, homey front porches and skyline views from rooftop decks, this engagement session was dreamy and full of laughter and lots and lots of love. The way Nicole looks at John when he's not looking and the way John pushes back Nicole's hair and squeezes her hand -- well, just moments of magic. And Nicole's ring? A family heirloom from John's aunt! It's gorgeous! After driving around beautiful Buffalo, five flights up stairs, city views, cheesy jokes and some bloopers, it was sad to see the day come to an end. And yet... just a few months until their beautiful wedding. Enjoy a glimpse into their love story and our adventure and stay tuned for more beauty from these lovebirds later this year. 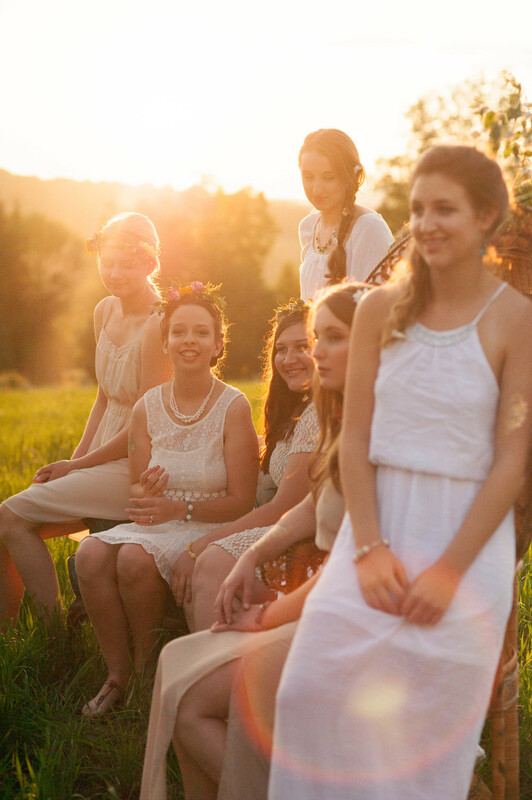 A few suggestions on what you should ask your potential wedding photographer. Sarah and Sam chose a unique, whimsical engagement session in the backyard of their Doylestown, Pa., home, showcasing a special green ring, beautiful blue eyes, a love for nature and fun and an expression of their caring adoration for one another. They'll be married in May at a castle! Enjoy their photos! 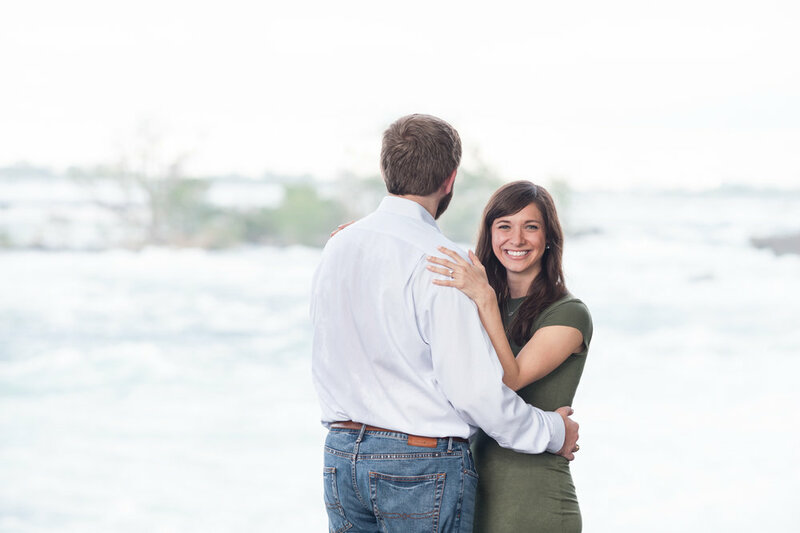 When I met with Court and Jeff a couple of months ago for our first consult, it became really obvious that this entire journey of engagement and marriage needed to be just as much about their two children and their family of four as it was about them. 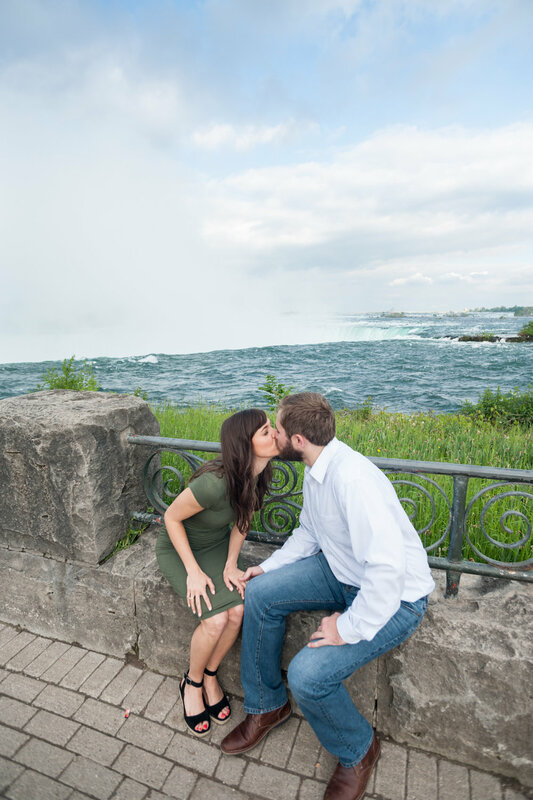 And so, when planning our engagement session together, we picked times and locations that worked for the littlest (Baby Brady, just a couple of months old!) all the way to the furriest (their two puppies that joined us at their house for a few moments in the spotlight). And any reservations or hesitation any of them had about a couple of hours with a photographer in their face quickly subsided. Every member of the family is pretty much a model! Court and Jeff have the greatest eyes that just POP! when you catch them in the right light and the two boys each flaunted their smiles every chance they had. I have always been about a more lifestyle approach to my photo sessions, and this day confirmed to me that the more natural, "real" approach to almost a day-in-the-life feel seems to put everyone at ease and allows any obstacles to be super minimal. Like the quiet moments between Jeff and each of the boys and the way they all seemed to complete each other. And how dazzling is Court's ring? 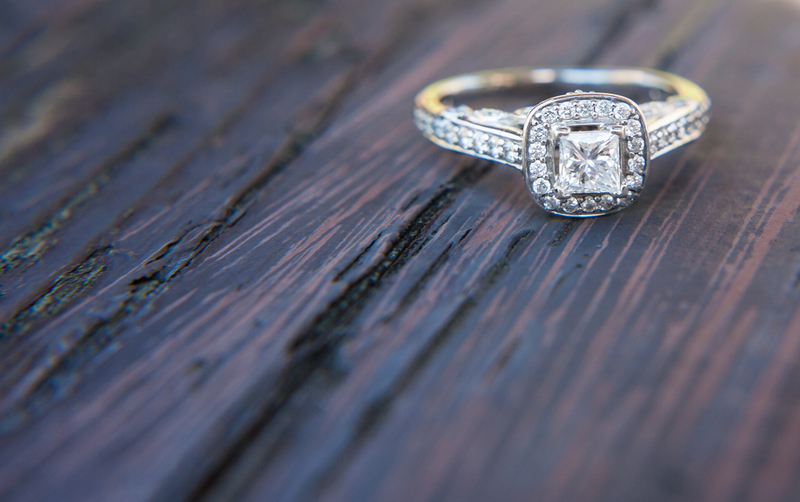 I could barely wait to photograph some ring detail shots and quickly decided that the simpler the background, the better. It allowed all the intricacies of the stones to really, well, shine! I'm so excited for their wedding next August! I know for sure there will be some very handsome members of that bridal party! 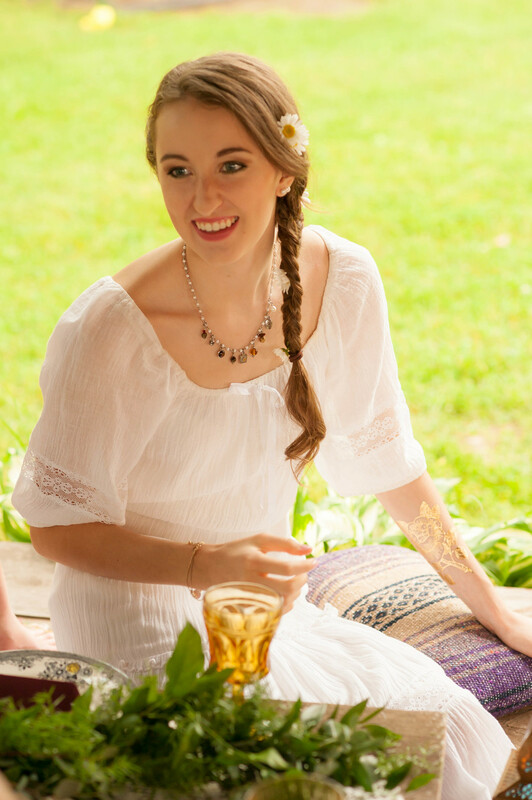 And a most gorgeous, glowing bride. Enjoy the glimpse into our day together. Many, many congratulations to Court and Jeff! Some love is easy and obvious in a gentle, comforting way. Some love is a sweet forehead kiss and the way two hands fit perfectly inside one another. Some love is just a beautiful video of caring and consideration unwrapping itself right in front of your eyes. That love is Corynn and Kevin. Complete adoration and kindness without being in your face or over-the-top. The way he looks at her and the way she rests her head so comfortably against him. The three of us met at Chimney Bluffs State Park in Wolcott, NY, about 45 minutes from downtown Rochester. The vistas along Lake Ontario were incredible and the day was sunny and comfortable. We explored a few paths and meadows, strolled along the beach and then hiked about 20 minutes on a narrow, climbing path for sunset photos overlooking the water and the bluffs. It was beautiful and so easy talking with them, learning more about their story and just enjoying the day. And let's talk about this sunset for a minute. Even the early stages were beautiful. Golden light peeked its way over a ridge to the side and painted yellow lines across the water. But then it just kept getting more impressive until we found ourselves completely overcome with the sight... and completely lost, haha! It was well worth it -- we found our way back to the parking lot and have a great story to tell people! I can't wait for their wedding day in June. If this session was any indication of the beauty and love I get to be a small part of, I realize I'm truly blessed. 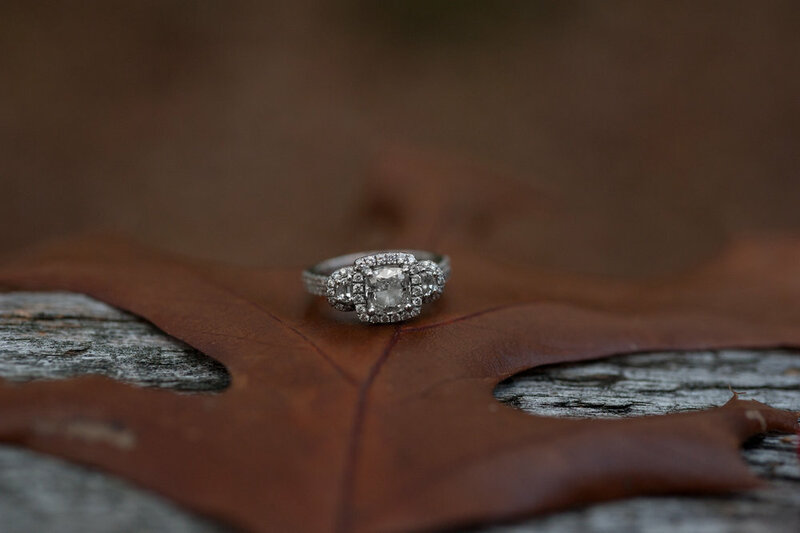 Enjoy some images from their engagement session and stay tuned in less than eight months for a spectacular wedding day featuring the two of them! "Our Story" sign courtesy of WZP Preferred Vendor, The Dusty Daisy Shop on Etsy! 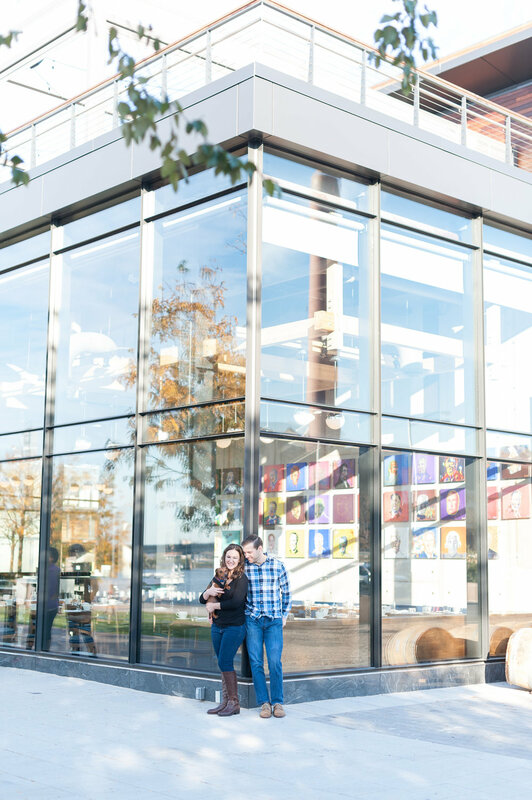 Melissa and Patrick gave me a tour of the college where they met seven years ago for their engagement session with me last month and it made for such a fun, comfortable, personal series of images. 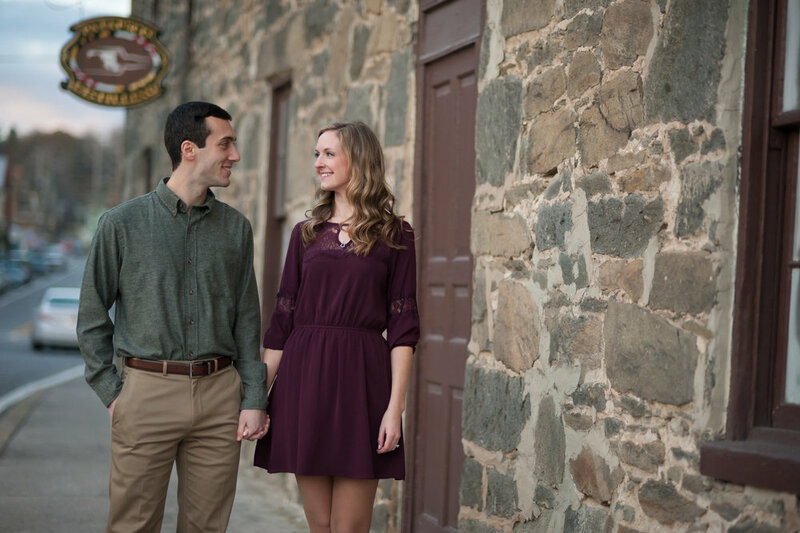 Patrick saw Melissa outside of the Science Hall on the tiny northeast PA campus of brick buildings and quiet roads in a town dominated by old Victorian homes. Not too long after, as they walked up the small hill to another campus building, he asked her out and the rest really is history. 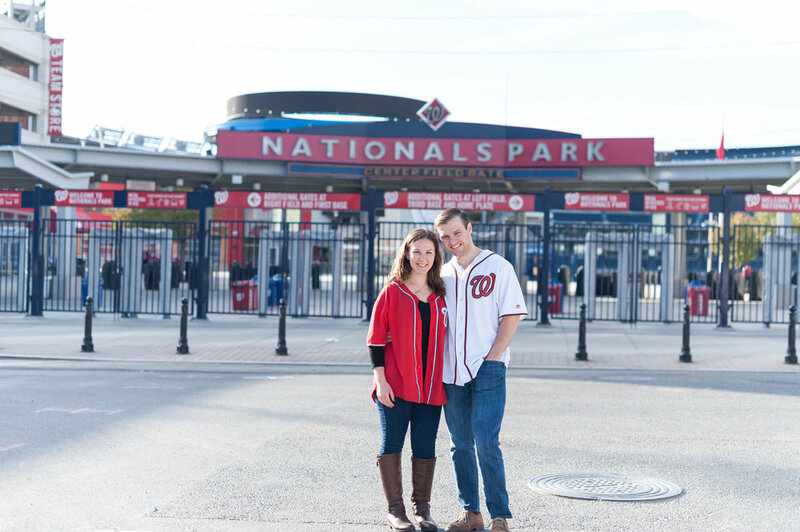 They'll be married in nearby Scranton, Pennsylvania in September 2016. They share a unique set of interests that continues to bring them closer to one another and seem to always have so much fun together. I really enjoyed walking the paths of their history together and then detouring for a walk on a nature trail with a creek, beautiful greenery and an insane suspension bridge. 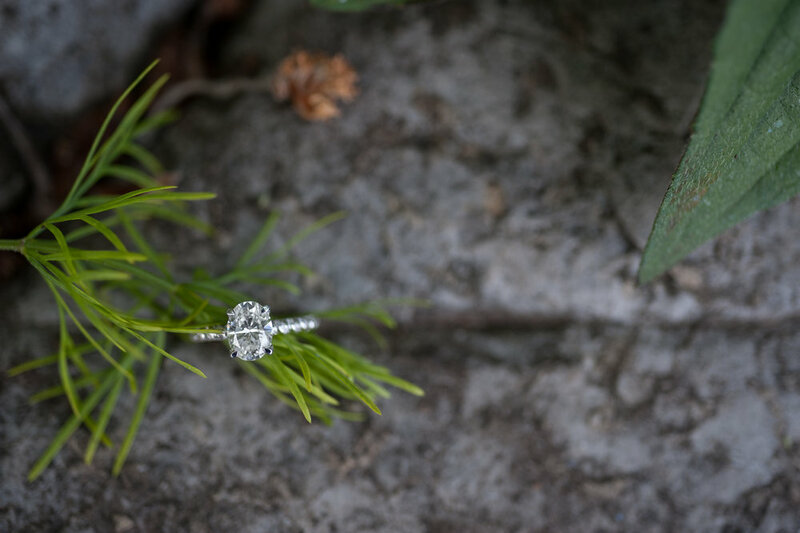 And Melissa's ring is so beautiful. It's got some twists and turns and just begs to be captured by my camera. I can only imagine setting up detail shots with it in a year on their wedding day. Enjoy some of my favorite images from our day together! Don't get me wrong, I LOVE being a part of several weddings a year! That's 15 or so First Looks that I adore and more than a dozen first dance and written, personalized vows. 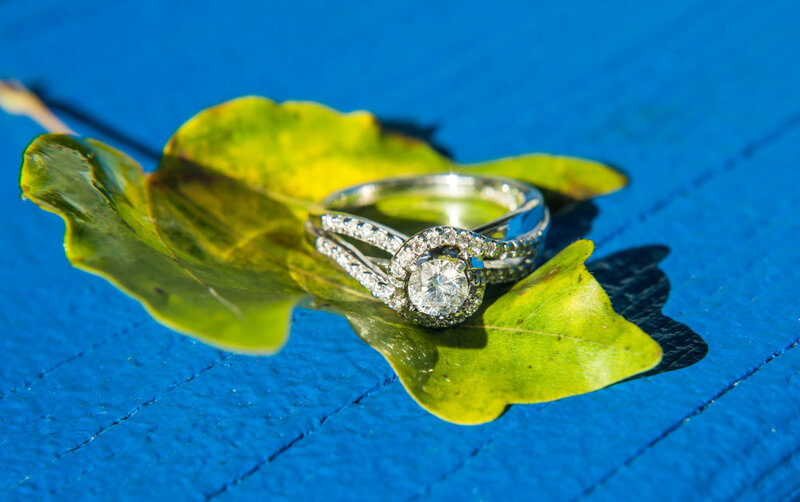 Nearly 20 grooms who get big smiles or damp eyes when they see their bride walking toward them and nearly 20 delicious cakes and gorgeous rings. Touching speeches and fun on the dance floor and all those beautiful blooms! But. 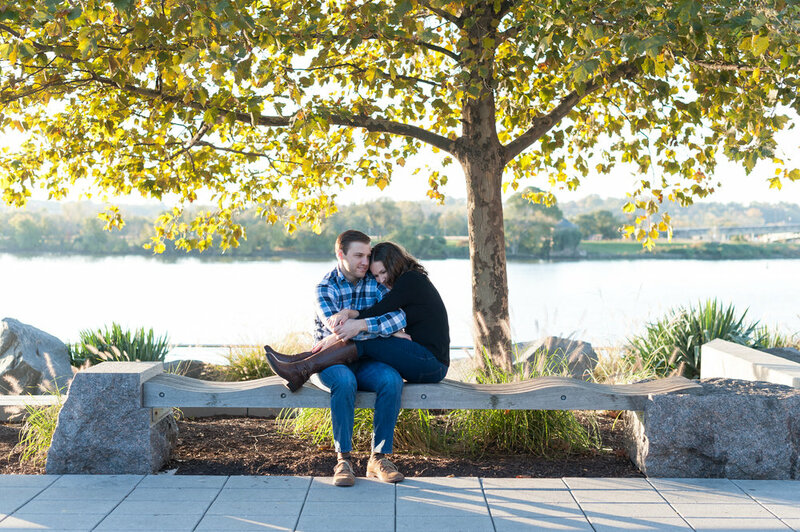 I *might* love engagement sessions even more! 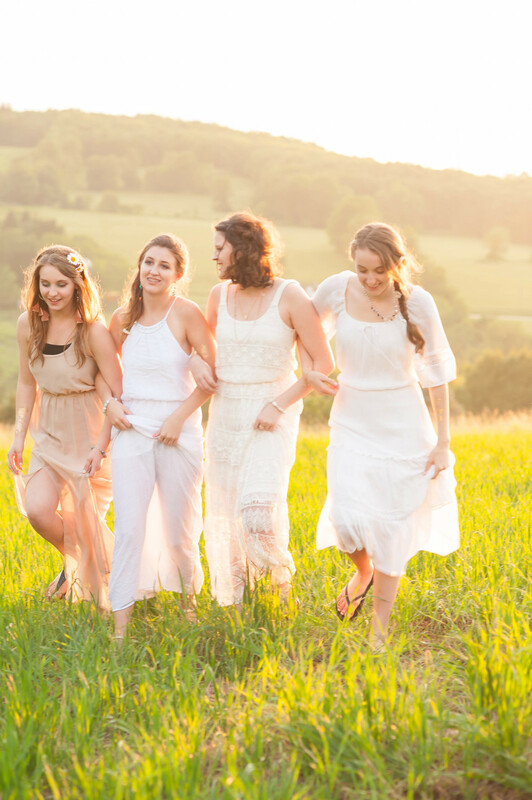 In fact, that's a major reason why a complimentary engagement session is included in all of my wedding packages. 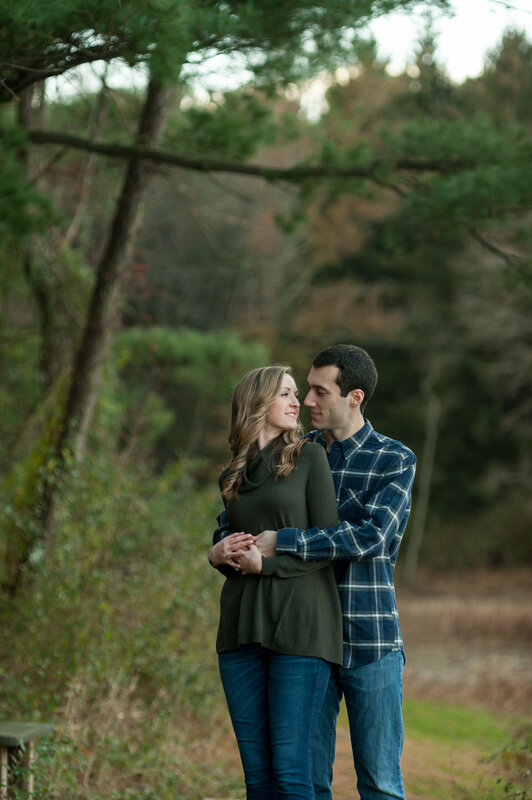 Engagement sessions are an opportunity for your true style, likes and dislikes, hobbies and interests, special locations and memories to all shine through, front and center. It's a chance to really capture the two of you in a more laidback and informal way, with comfy clothes and an entire evening of fun. By the time we're done with our two or three hours together, I know the name of your puppy, your son's birthday and things that will help me at your wedding and future sessions -- your insecurities, the way to make your fiancé smile in a really relaxed way, little DIY touches your doing for your ceremony, your family dynamics and your favorite images. I love that my engagement sessions are an opportunity to really tell your story -- your love story. 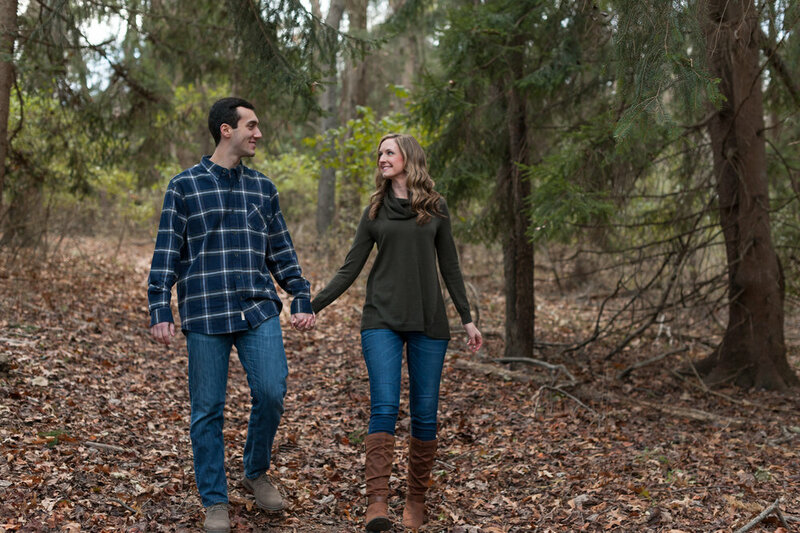 Ben and Megan love doing things together outside, so it was only natural that we spent their engagement session on his family farm and near the creek where he proposed. MaryAnna and Ian are very old-school with some fantastic vintage wedding touches and appreciation, so their session began at an Art Deco ice cream parlor and ended at the resort where they'll be getting married next month. 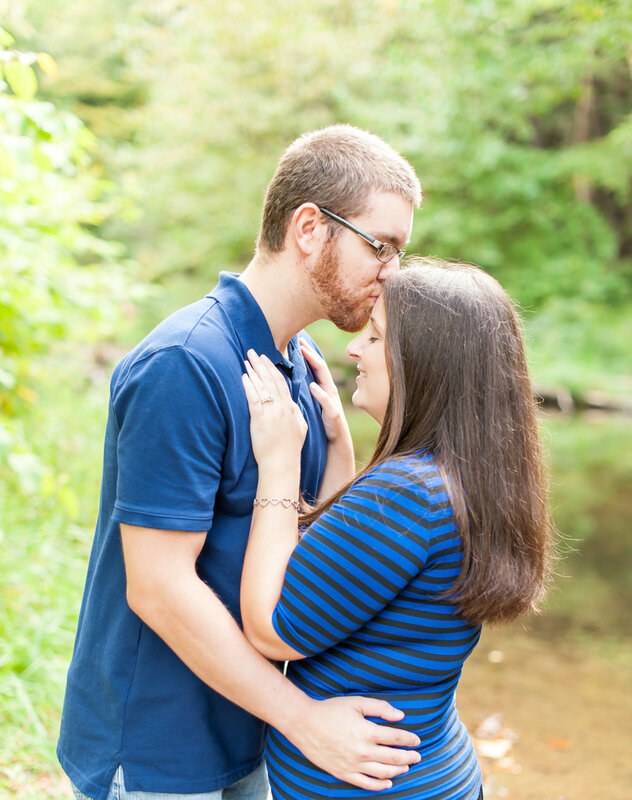 I could go on and on, but basically, engagement sessions are incredible! You'll know me and I'll understand you and we'll have some fantastic images to compliment your wedding gallery. I love when I see family member or friend comment that a couple's engagement session really captured who they are as an individual and as a couple. That's what it's all about! - I usually recommend doing these either at the same or similar type of year, foliage, etc, as your wedding so that there's some cohesiveness, especially when we are dealing with snow, Autumn leaves and other obvious backdrops. 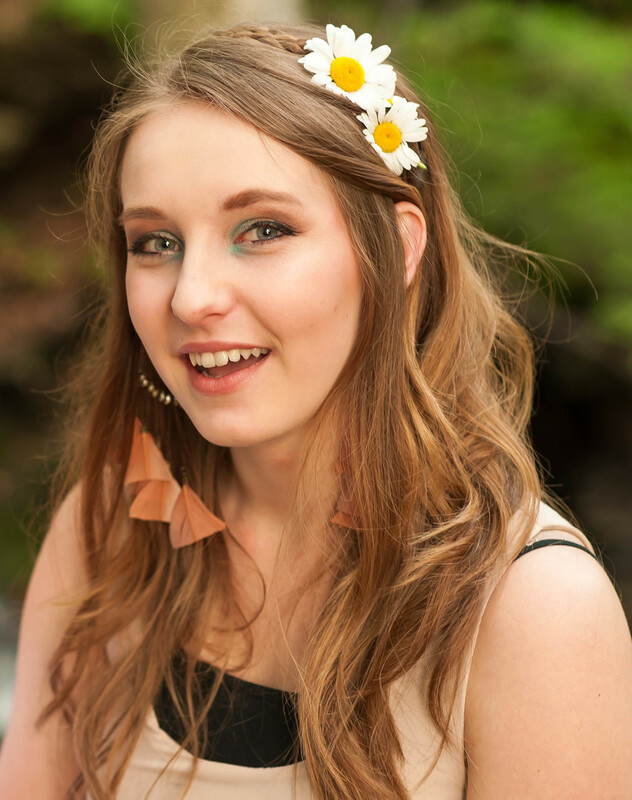 - These sessions are usually 2-3 hours, with about three outfit changes (at least one casual/"normal" one so it seems "you") and at locations of your choosing -- nearby park, favorite hangout, wedding venue, etc. - We can use as many or as few props as you like. The majority of my sessions are a lifestyle approach, meaning lots of natural light and "real" moments, but I have several rustic signs from one of my favorite vendors, Samantha of The Dusty Daisy Shop. Food can be a prop -- I loved shooting Andrew and Gina through the windows or a coffee cup on a cold wintry evening. Clothes can be a prop, too, like when Heather and John donned their opposing NFL team jerseys for a mock football match during their session. Looking forward to more love stories! I love a lot of things that came into play while exploring the nearby city of Wilkes-Barre PA last week with Heather and John -- obvious affection, lots of laughter and an adorable puppy. I have had a blast with this young, fun couple since we first talked about their Sept. 2015 wedding a couple of months ago. John asked great questions during a phone interview and apparently was impressed by me! He told Heather, "We don't have to look any further, I found our photographer." How awesome is that?! And then when I met with Heather at a nearby coffee place, we happened to pick a night with a slew of fire trucks on display, free ice cream and long lines weaving around costumed walking coffee cups. We laughed a lot and just really hit it off. So this past weekend, we captured some love and laughter at three locations -- a riverside park along the Susquehanna, the campus of Wilkes University and then at nearby Kirby Park and it's dyke path. Heather and John had a lot of ideas for outfits and props and posing but were equally flexible and open-minded with my suggestions. I hope you can feel the fun in these photos! I can't wait to see them surrounded by their loved ones in just a few months for their wedding. I have no doubt I'll be smiling the entire time! 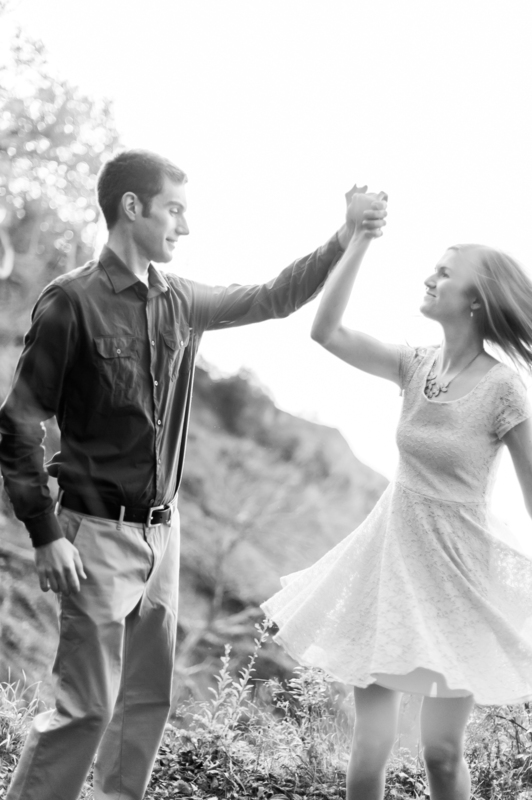 A lot of things have to happen in order to create a flawless, magical engagement session. And boy did the stars align on Saturday! Equipment. Check! It was my first opportunity to use only my three favorite prime lenses and no zooms and I was SO pleased with the results. 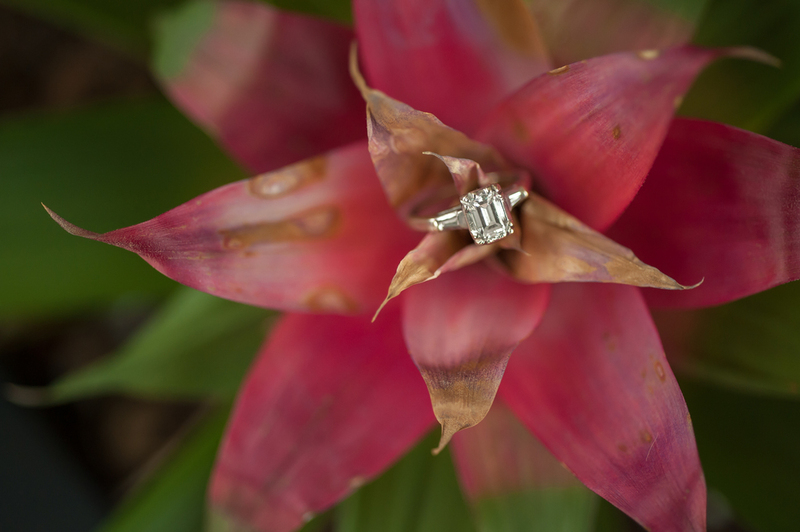 Sharper, in-focus images with beautiful bokeh. Location. Yup! 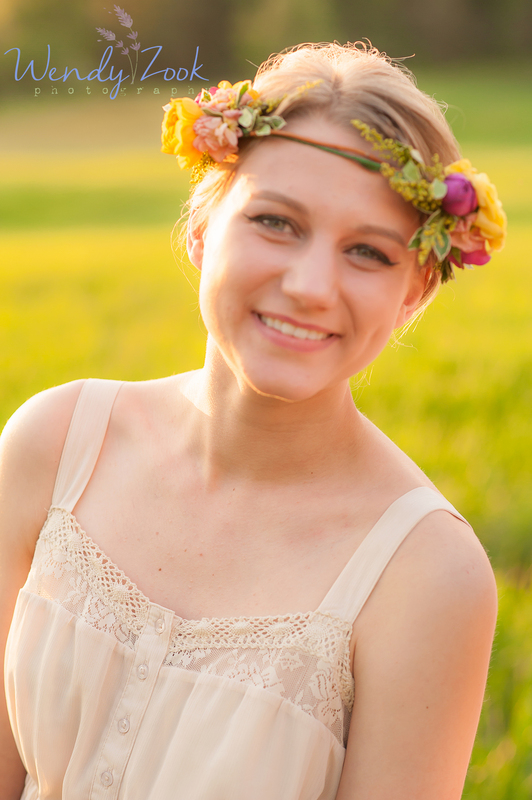 We used Ben's family farm (Picture field of wildflowers and tall grass perched on top of a mountain overlooking rolling hills of green as far as the eye can see), and two waterways nearby that had particular importance to Ben and Megan's relationship (like near the place where he proposed!). OH, and my apologies to the owner of the field on the drive to the reservoir. See, we were driving by and almost all three of us yelled to stop at the same time. You know you have magic then! Weather. Partly sunny skies leading into a golden sunset. No one had to squint and there was no harsh light to deal with! The temperature was rather comfortable, too! A cooperative groom. Um, yep! Ben actually suggested the first spot as we walked towards the aforementioned field on a mountain. His idea of a large apple tree was the perfect place to start! He was such a good sport, though -- jumping in a creek with cowboy boots still on and driving his brand new (like hours old!) truck down dirt roads! 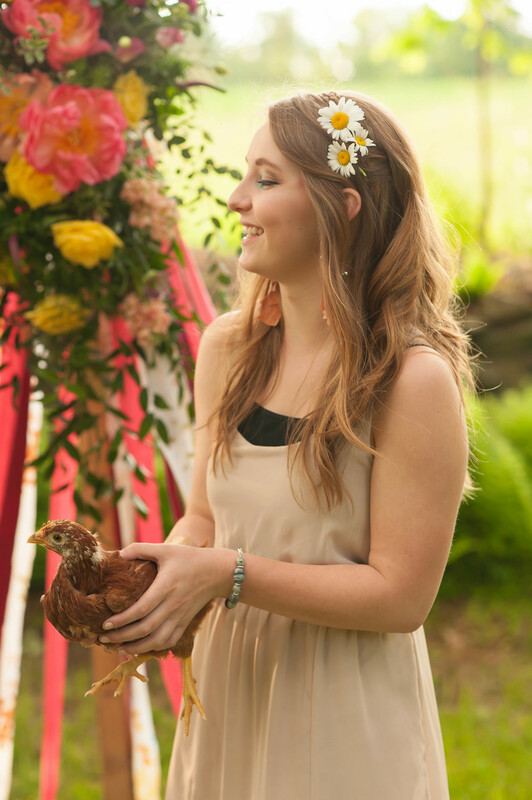 A beautiful bride-to-be. Whoa. Megan is stunning, but she's radiant inside and outside. Her eyes are so gorgeous, she greeted me with a giant hug and she thanked me at least a thousand times. I loved her outfit choices and she looked like a model! Authentic love. This is the most important part. 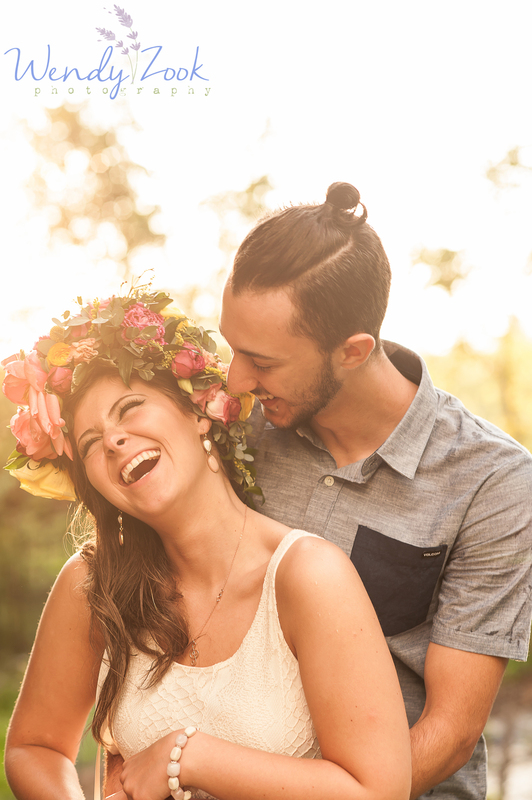 Couples can be stressed from a busy day or from planning, can be self-conscious or feel unphotogenic. But you know what? None of that matters if you keep them comfortable and just let their love shine through above everything else. There are some beautiful catchlights in their eyes and mouth-dropping vistas in so many photos, but my favorite ones are where love is in the foreground. The way she looks at him... the goosebumps from listening to him tell the story of how they met... the kindness to each other. Ben and Megan are getting married in November and I can't wait to get more time with them and capture more of their love story.